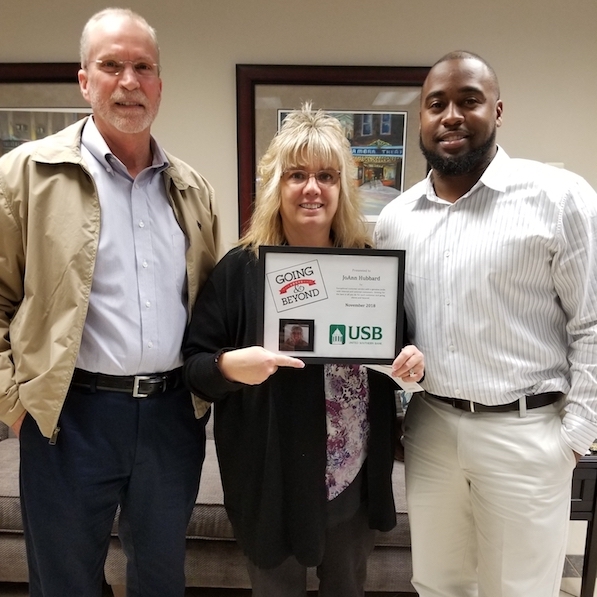 JoAnn Hubbard, Teller at USB, was selected as November’s CIA of Going Above & Beyond. JoAnn Hubbard was our recent C.I.A. (Caught in the Act of Going Above and Beyond) She was nominated for providing exceptional customer service, having a genuine smile and striving for the best in all she does. JoAnn is a floating Teller with her home branch being Clinic Drive. Pictured are Christian County Market President, Randy Coombs, JoAnn Hubbard, and Clinic Drive Branch Manager, Brandon Oldham. « November Meet & Eat!